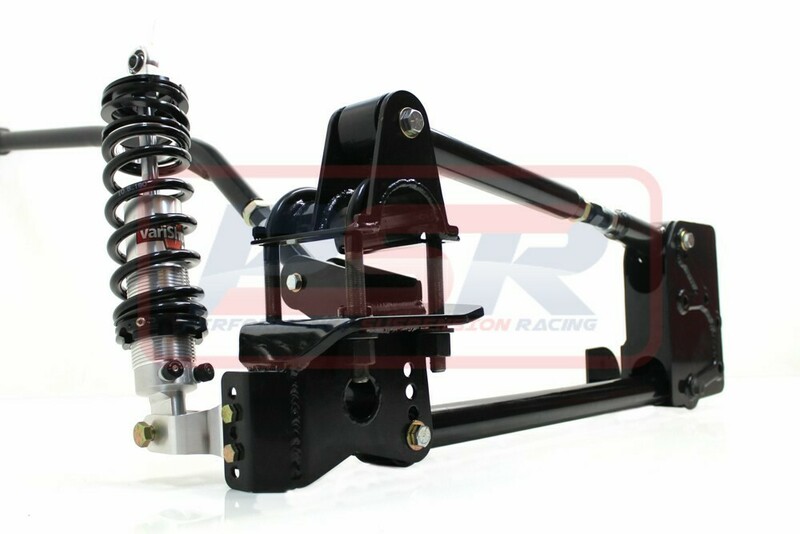 PSR's Ford Falcon BA-BF Ute 5 link system is a bolt in solution to replace the factory leaf spring set-up to suit a 3" diameter 9" diff conversion. The kit comes complete as a bolt in system. Featuring cro-moly upper and lower control arms with turn-buckles in the upper for fine tuning of the pinion angle and an adjustable panhard bar to centralize the rear diff. Poly-urethane bushes are supplied throughout. All mounting points are fabricated with strength in mind and are 100% bolt on. 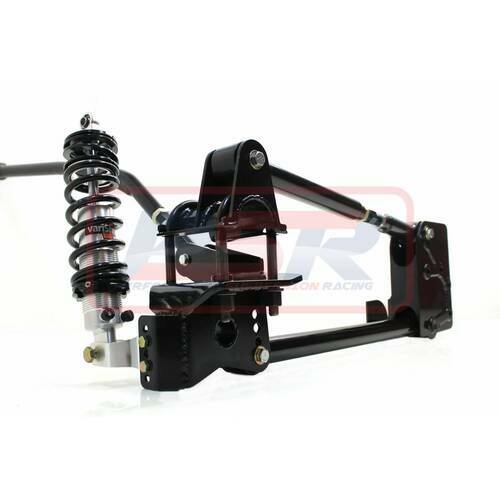 Kits are supplied with QA1 damping adjustable coilovers and a progressive King Spring coil spring. Factory bump stop location is required to be removed during installation but moved in board, factory height is retained. Full installation guide and all components required are supplied.